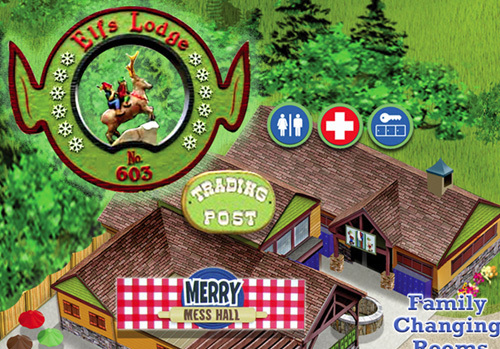 The Merry Mess Hall at the Elfs Lodge is the newest restaurant at Santa’s Village, featuring: fresh Panini sandwiches, pulled pork sandwiches, and many other mouthwatering treats. Dine on the deck overlooking the water park. Delicious!